My thanks to both the candidates and all those that worked on the City Vision for Entrust Campaign. To win a majority of the 5 trustee positions on Entrust we needed to double our own vote and have the C&R vote stay about the same. That did not happen and the turnout across Auckland fell again so that less than I in 8 eligible voters actually cast a vote. The very frugal campaign had some success in that the C&R team were pushed to both restore the full undergrounding budget as well as ruling out the privatisation of Vector. That included privatisation by way of a sale of Vector shares by Entrust, a sale of assets by Vector or the early wind-up of the Trust. Despite the infighting within the Trust and a very public dispute with the Vector Chair media coverage of the issues struggled to leave the business pages. 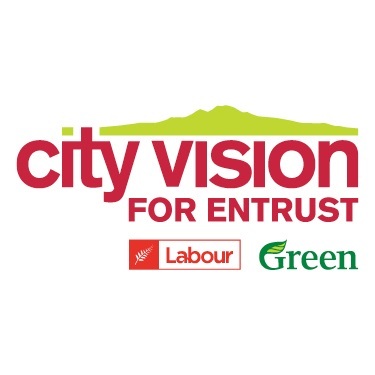 The City Vision candidates raised the issues known to be important for Aucklanders; security of supply, privatisation that threatened the dividend and the slow down of the undergrounding programme but the challenges of competing in a private trust election remain. No other publicly elected body would be able to keep no register of trustee’s potential conflicts, not have its approved minutes publicly available, able to have an election postal voting period of only two weeks, only holds its annual meeting after most of the votes have been counted and be able to instruct the returning officer to not publicise the election. The newly elected Entrust trustees vindictive move to remove Vector directors who had voted to delay the Vector AGM until after the new trustees were elected suggests the next three years will not be without drama. Auckland still needs Entrust trustees who can represent our interests as both consumers and investors.